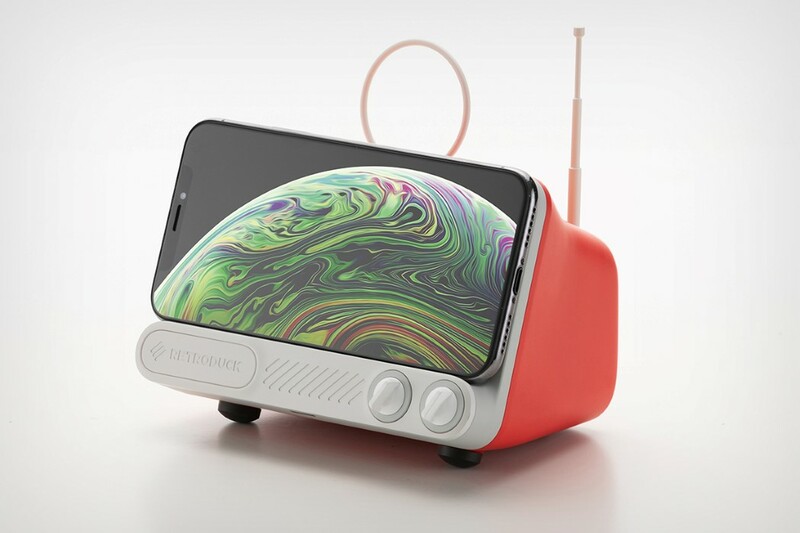 Gadget » Apple » Ten products that showcase the Pantone 2019 Color of the Year in full CMF glory! Named as Pantone color of the year for 2019, Living Coral is an animating and life-affirming coral hue that signifies light-heartedness and positivity. The color is the kind that instantly makes one happy, with its touch of vibrance and warmth, and the minute you add it to a product, it stands out. Companies have, for long, used the coral color to make products look and feel youthful, and to make them add a splash of color to a space. 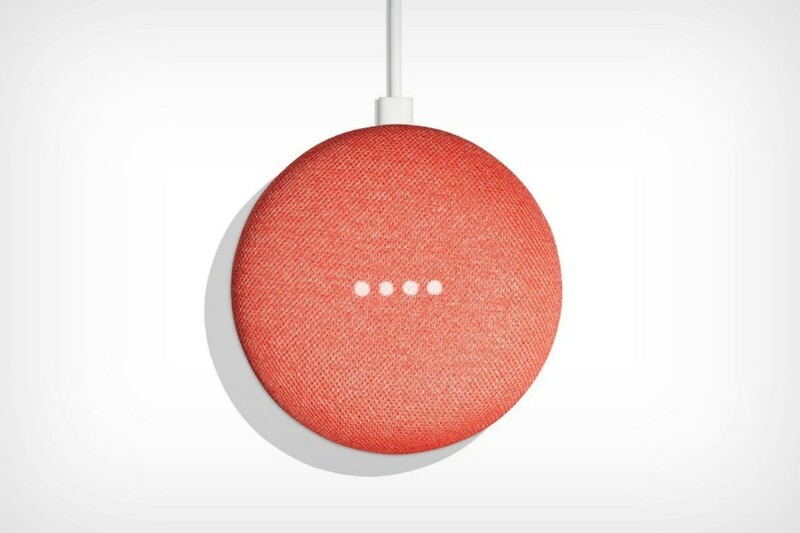 Living Coral’s beauty especially lies in the fact that it goes well in any domain, fashion, interiors, consumer electronics, or even appliances. Heck, I’d wager that a Ferrari with a Living Coral paint job would look absolutely dope too. Almost a month into 2019, we’re here to take a look at ten of our favorite products that have wholeheartedly embraced Coral as a hue, using it wholly, or in part, to create a product that stands out, and looks great while doing so! 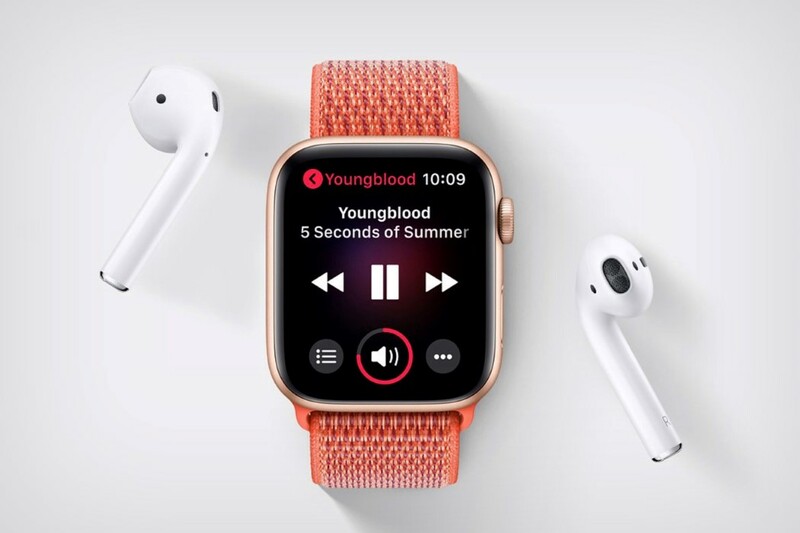 The Nectarine Sports Loop (along with the Watch Series 4) came just weeks before Pantone debuted their color of the year, and it’s almost as if Apple either knew, or they had some spectacular CMF Designers who just happened to feel that the color absolutely did justice to the Watch. 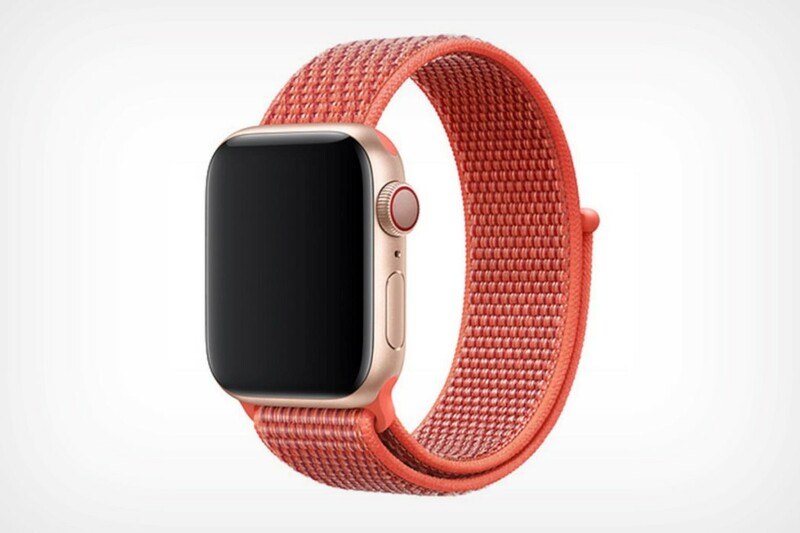 There’s a silicone version of the Nectarine band too, but we prefer this woven nylon loop that’s breathable yet sweat-resistant. And it’s compatible with all versions of the Apple Watch! 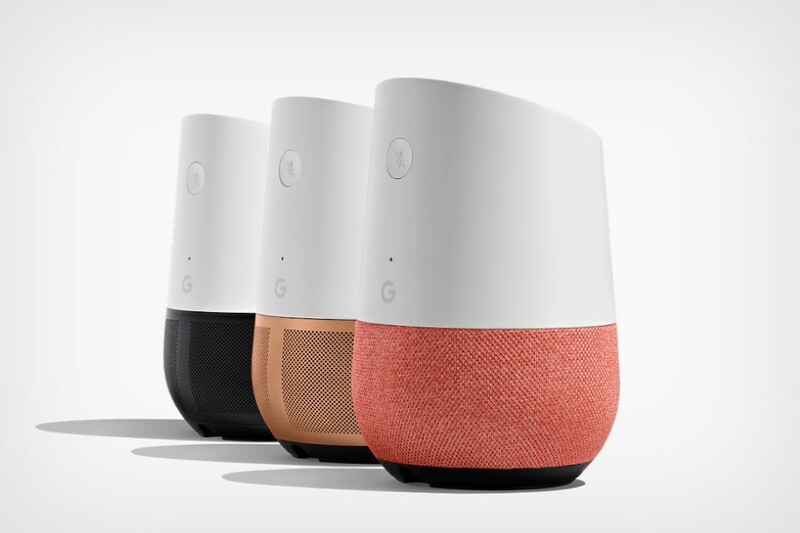 The coral version of Google’s smart speakers were released shortly after Pantone announced the color of 2019. 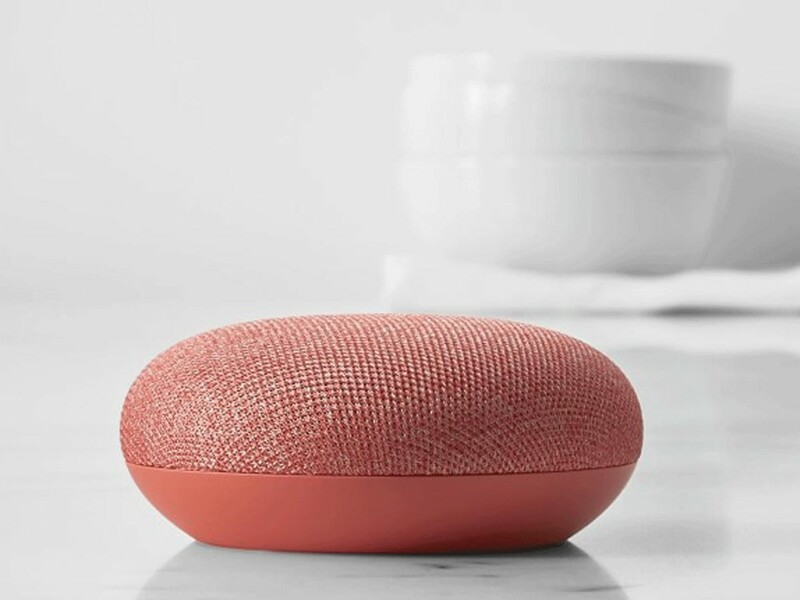 While the Mini comes completely coated in the Living Coral hue (with a rather remarkable contrast between the woven texture on top and the hard plastic at the bottom), the Google Home does a dual-tone, with white on top, and the addition of a detachable coral fabric grille at the bottom. Don’t make me pick favorites. I like them both. The tragedy of these headphones is that Urbanears only produced the Coral edition as a limited run. 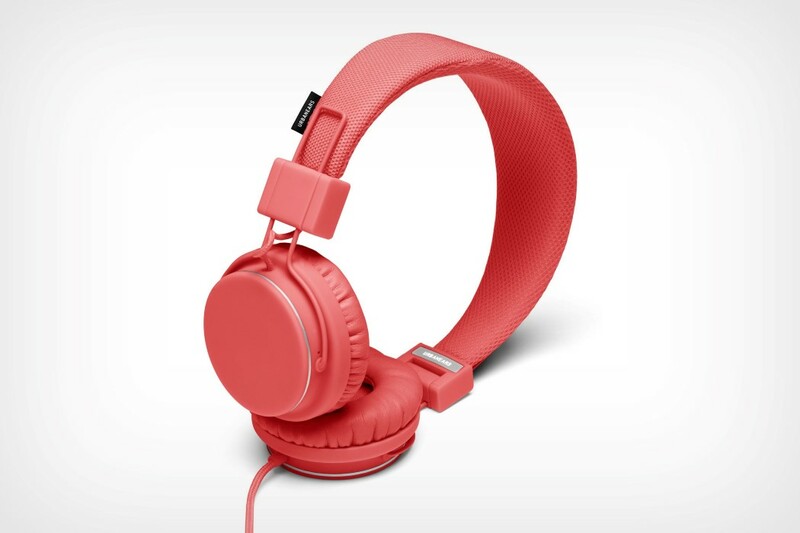 I still maintain that the Plattan headphones look absolutely heavenly in their coral color, treading a fine line between sporty and fashionable with a color that isn’t as red as the Beats headphones, but is the perfect hue to look absolutely dapper. Yes, dapper’s the word. Unlike its previous, wired version, the Retroduck Q comes with two changes. 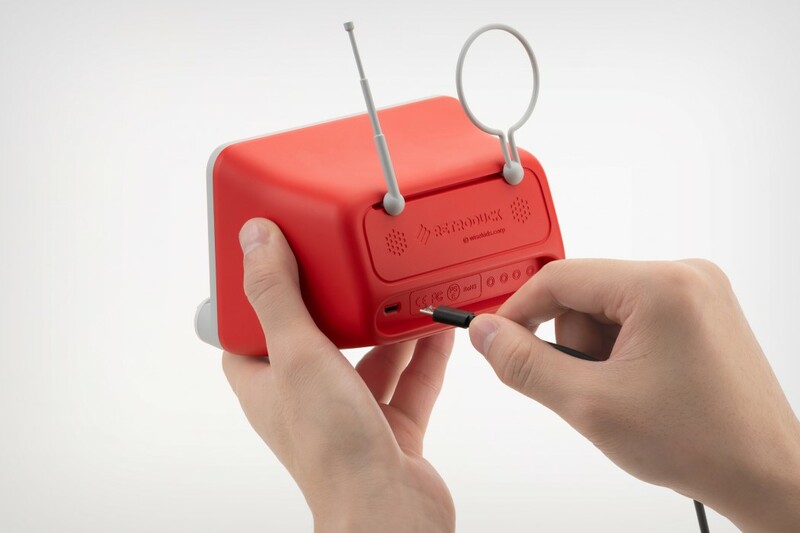 Firstly, the dock works wirelessly, charging your phones simply by placing them on the retro TV-esque stand… and secondly, the Retroduck Q ditches its ancestor’s more orange-heavy color for a delightful coral version, or as they call it, Carmine Red. The Retroduck Q just finished its round of crowdfunding and is still under development at the time of writing this article. We’ll be sure to drop a link when they’re ready to buy online! 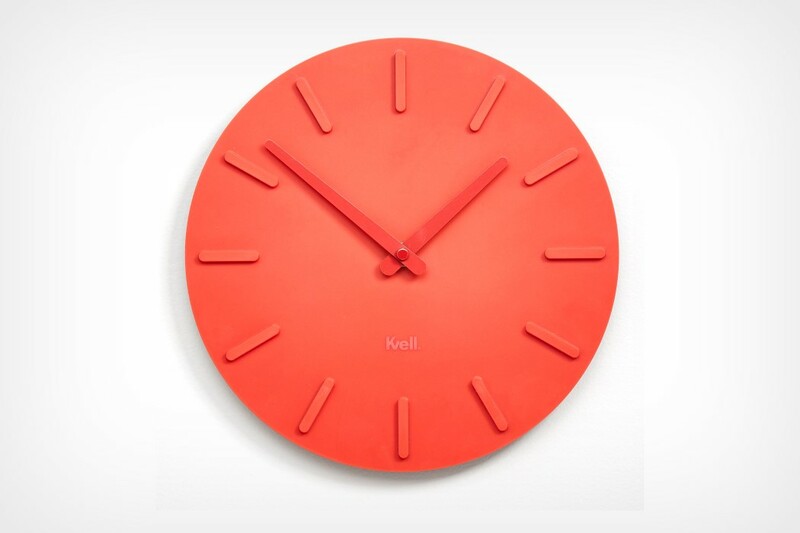 Rather strangely titled Pop, the Kvell clock actually comes in a single color, making it quite the opposite of pop… but it makes up for that with the use of such an incredibly rich hue that I’m sure it’ll pop off any wall you mount it on. I’d recommend a white or light teal colored backdrop for this beauty. Even a light blue would work, given that corals are originally found against a backdrop of oceanic blue. 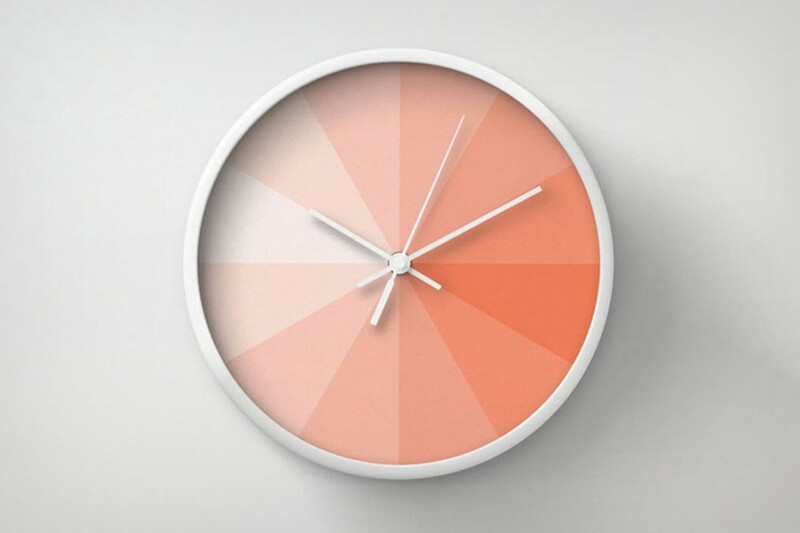 While most products embrace a hue, Dot&Bo’s Coral Pantone Clock embraces the entire shade card! With multiple hues arranged around the face of the clock, Dot&Bo’s timepiece is much more subtle than Kvell’s Pop Clock. After all, in-your-face vibrant decor isn’t for all homes. Vespa, the brand, stands on two pillars. Retro-Italian design, and an absolutely delicious color palette. The Visor 2.0 helmet has its share of both. 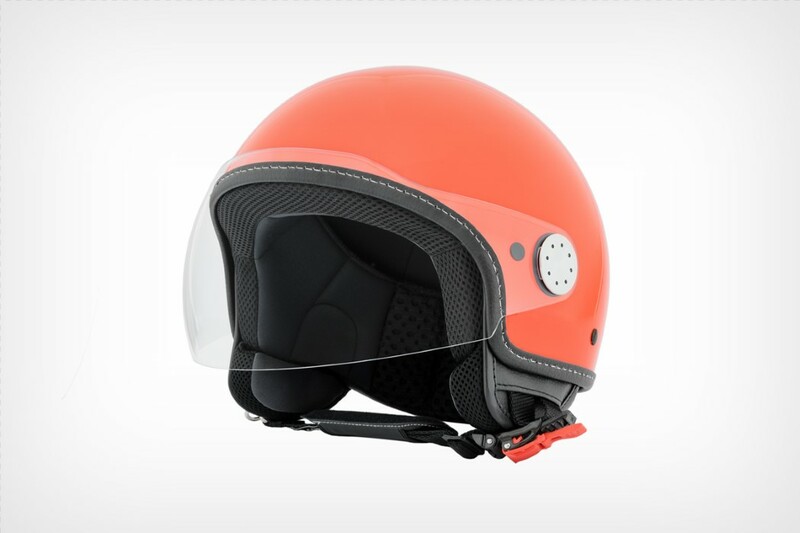 Designed to pair perfectly with the adorable Italian legend-of-a-scooter, the Visor 2.0 Coral helmet will protect your brain and will blow the brains of pedestrians as they catch a glimpse of the Coral-colored helmet blurring past. Pairs well with a coral colored Vespa and the Italian countryside. Both sold separately. Rashid was using vibrant hues like Coral long before Pantone named it the color of the year. A major part of Karim Rashid’s design legacy is his use of CMF as an absolute weapon. Take the Hip Bottle for instance. Add any other pastel color to the Hip Bottle and chances are it probably won’t stand out. 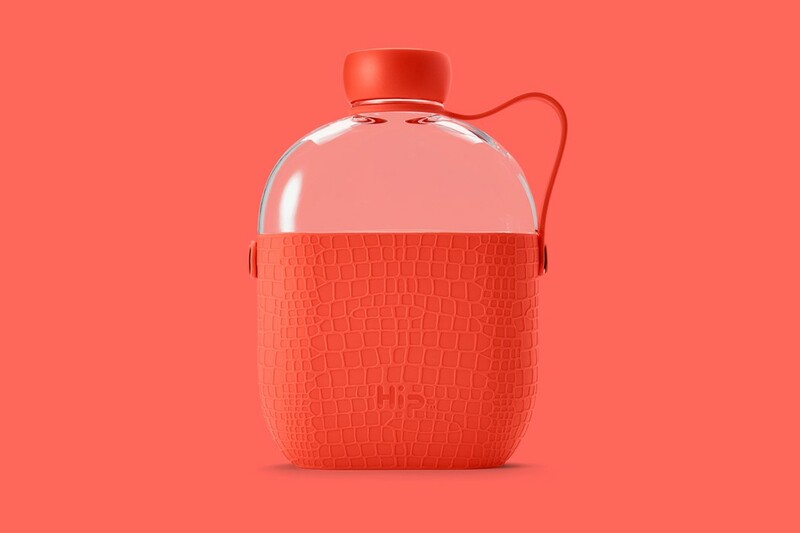 Its form is simple, and the bottle isn’t as edgy as most sports bottles out there… but carefully drop the Coral hue on it and the Hip looks stunning. Also available in 5 other colors that don’t match up to the sheer beauty of the Coral variant. 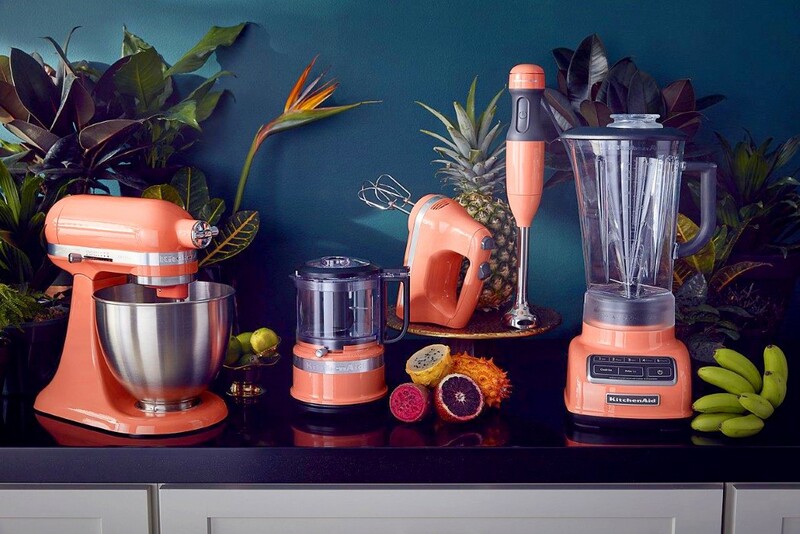 I could totally imagine myself walking into a kitchen with a tropical teal wallpaper with pineapple graphics on it, and surrounded by KitchenAid’s coral-colored appliances. 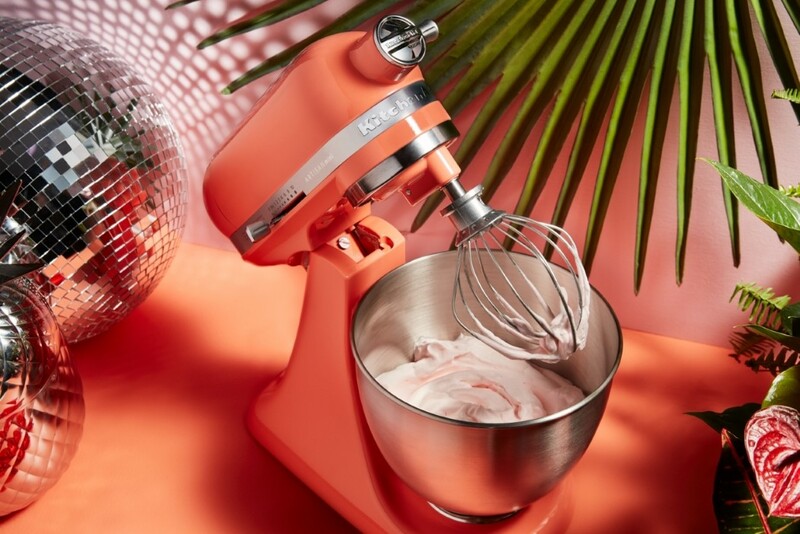 Kitchenaid, in fact, began its own Color of the Year series last year, and believe it or not, Coral was their color of the year for 2018. 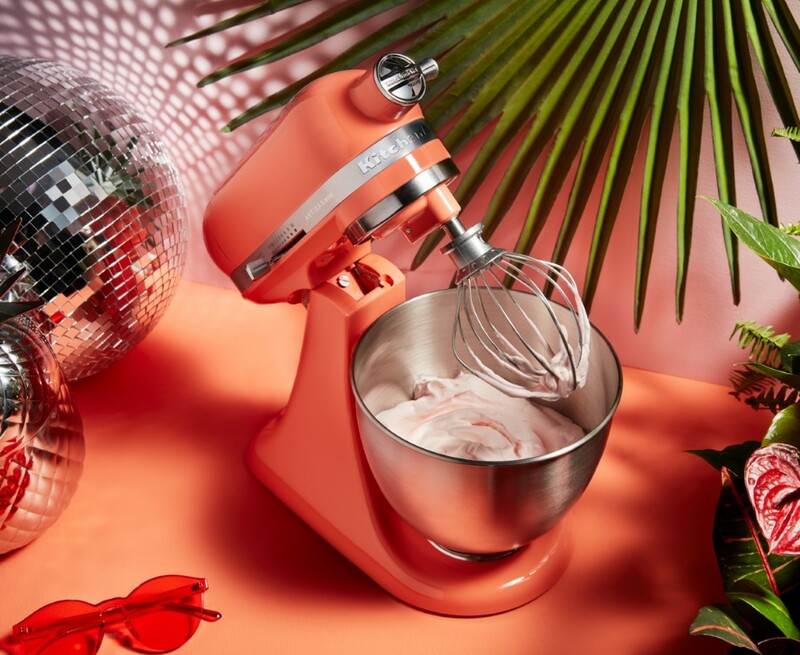 Titled the Bird of Paradise, the entire collection of kitchen appliances sports the beautiful coral hue, right from the range of blenders to the stand mixer that I personally love most, probably because of its distinctive design, and my obsession for meringues (what, I’m human). I’d be remiss if I didn’t include a product from Pantone’s own catalog. 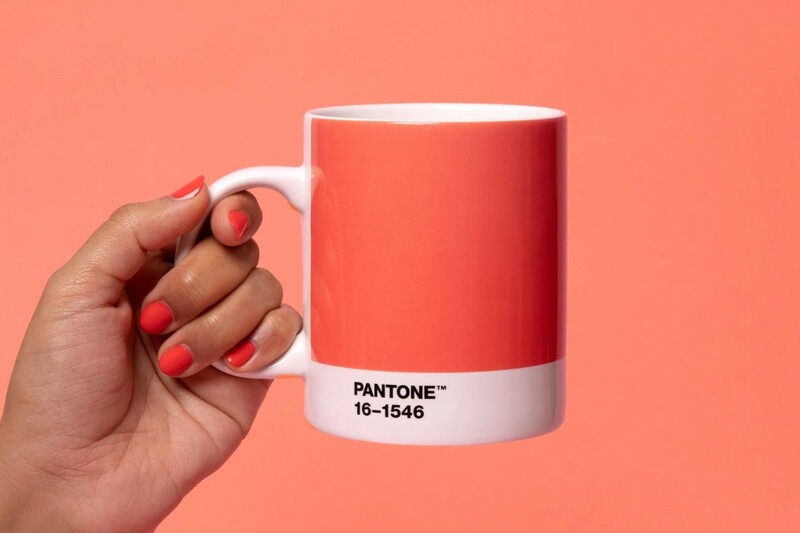 Every year, along with their announcement of the COTY (Color of the Year), Pantone also releases their own merchandise, from notebooks to thumb drives to mugs, that feature the Color of the Year in its Pantone-branded color accuracy. The mugs, however, are a standout because notebooks are too basic and thumb drives are practically obsolete. Besides, look at that mug and tell me it isn’t simply the most eye-catching mug ever. You are reading an article on the Ten products that showcase the Pantone 2019 Color of the Year in full CMF glory!. All materials on the site Gadgets F, а также и статья Ten products that showcase the Pantone 2019 Color of the Year in full CMF glory! - written for the purpose of information enrichment and we are happy if you like our magazine. Reviews to article Ten products that showcase the Pantone 2019 Color of the Year in full CMF glory! The first manifestation of Parkinson’s disease may be registered in the intestine!